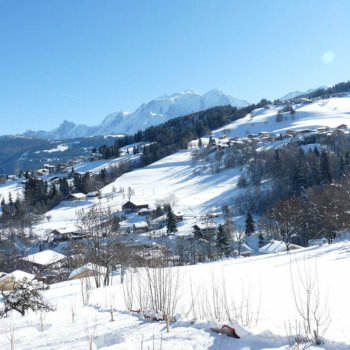 The village of Combloux benefits from one of the most beautiful panoramas of the Alps on Mont Blanc. 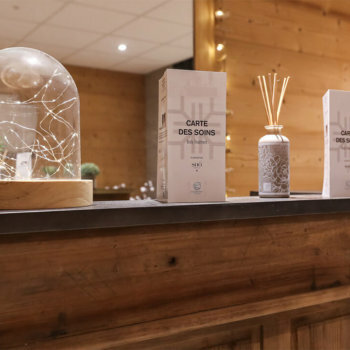 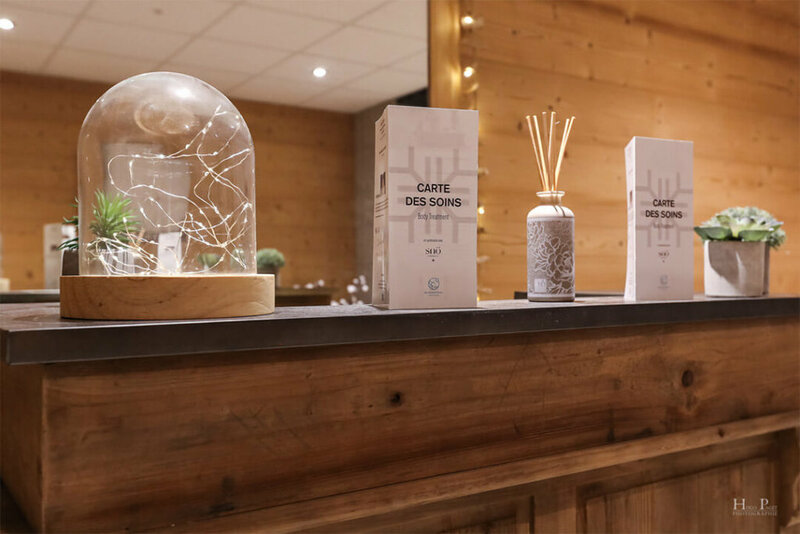 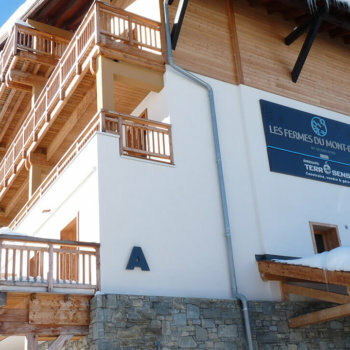 Welcome to Les Fermes du Mont Blanc**** ! 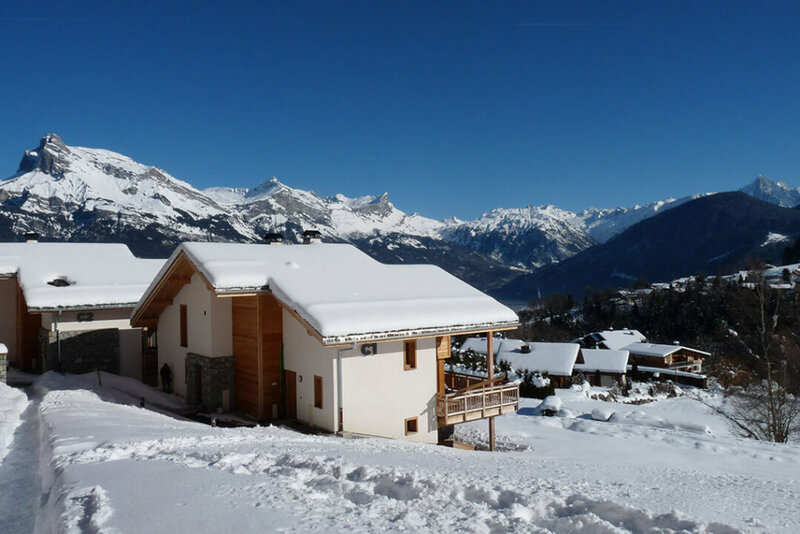 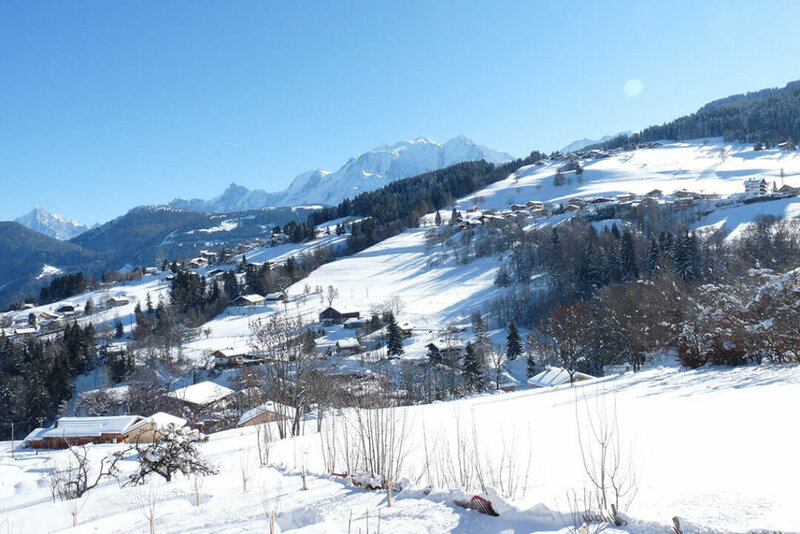 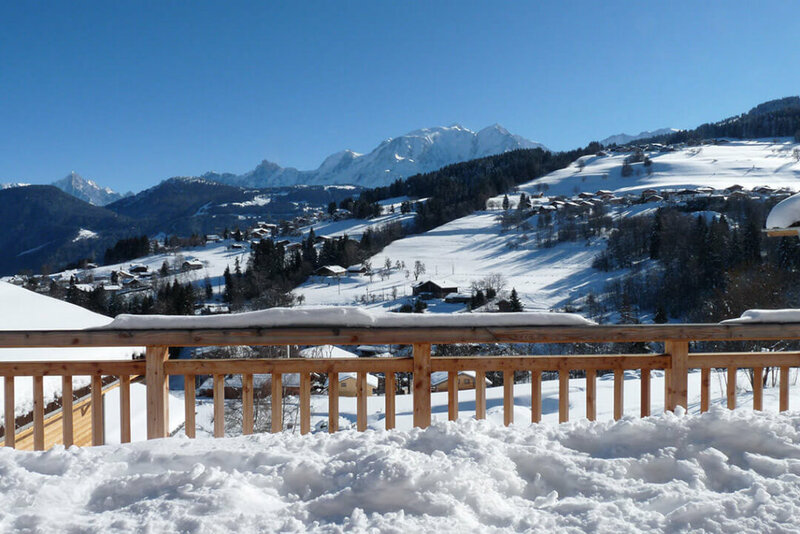 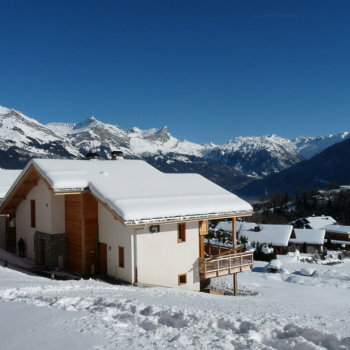 In Haute-Savoie, only 5km from the famous ski resort of Megève, discover Combloux, nicknamed the Pearl of Mont Blanc. 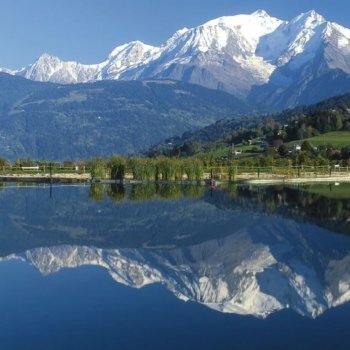 Authentic village which welcomes visitors summer and winter; which is connected to the large ski area “Les Portes du Mont-Blanc”. 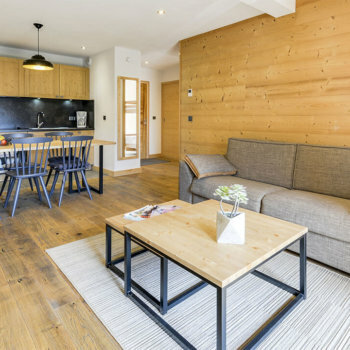 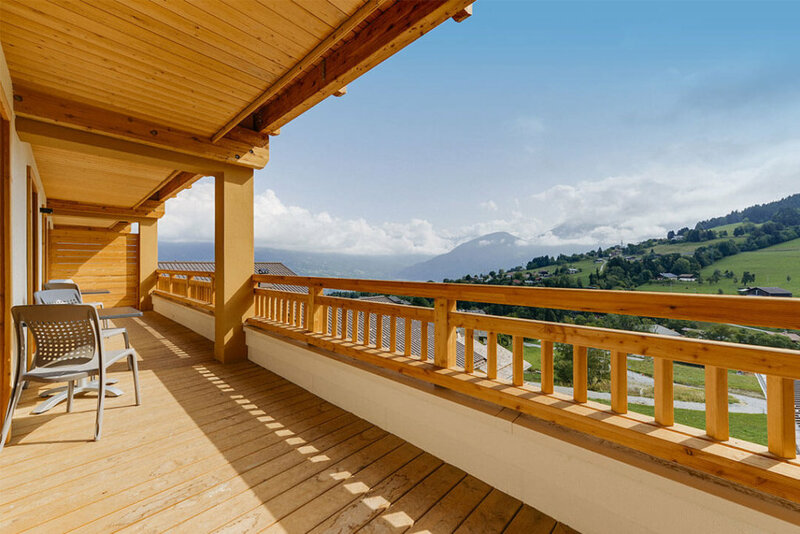 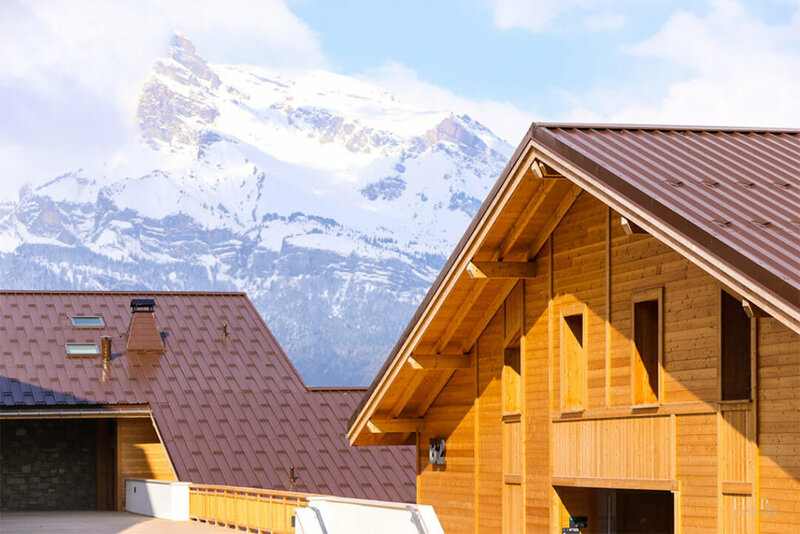 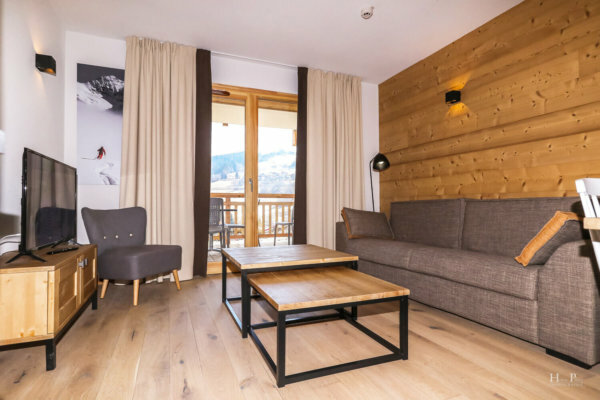 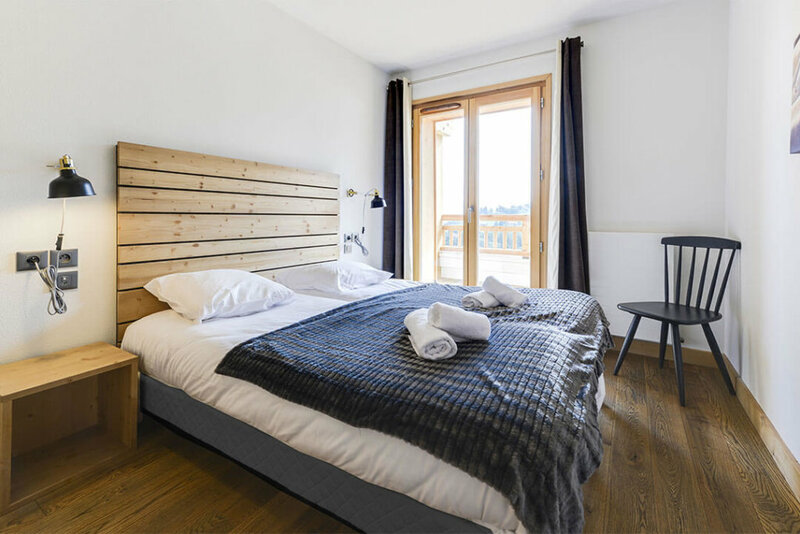 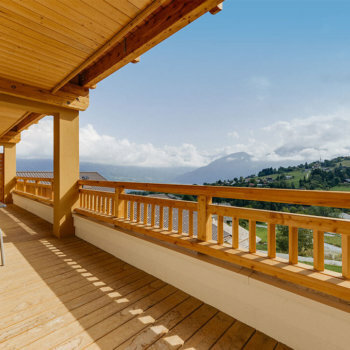 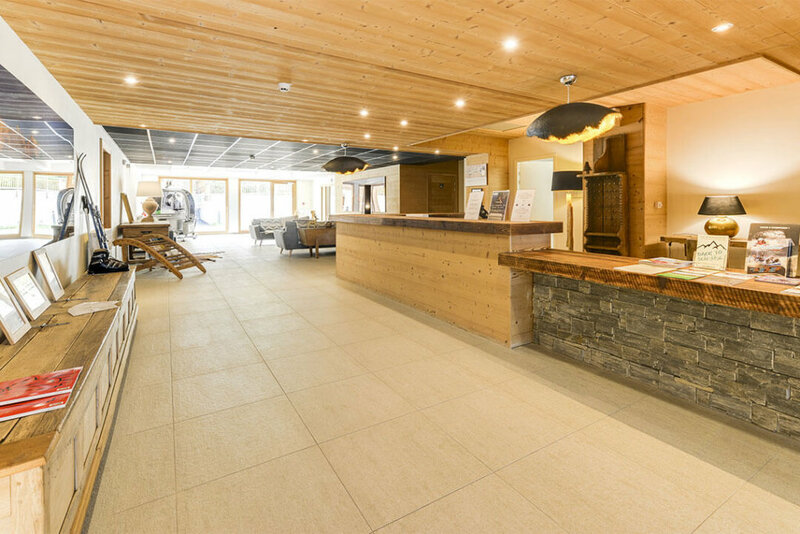 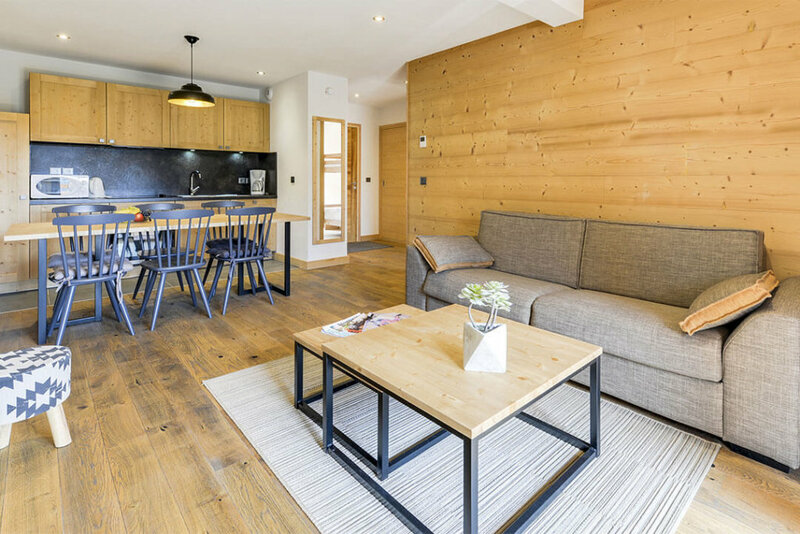 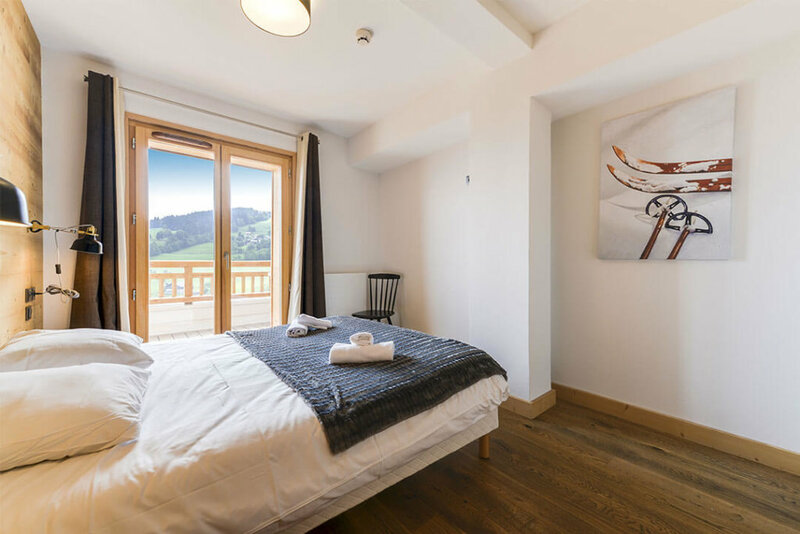 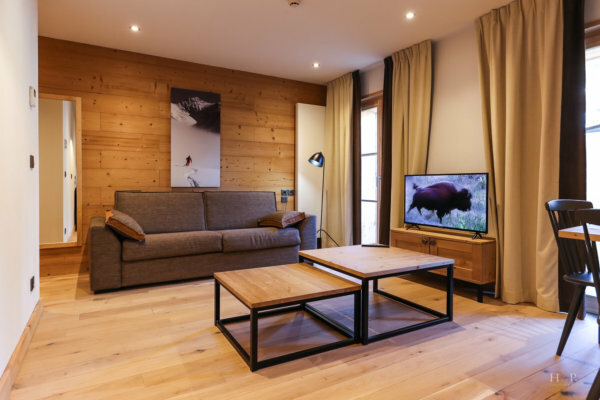 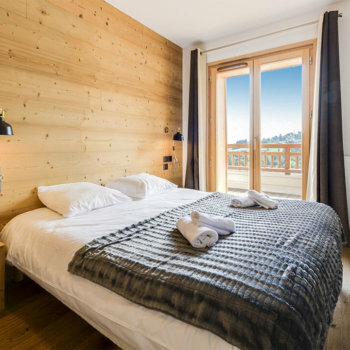 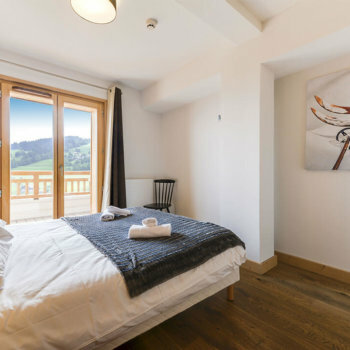 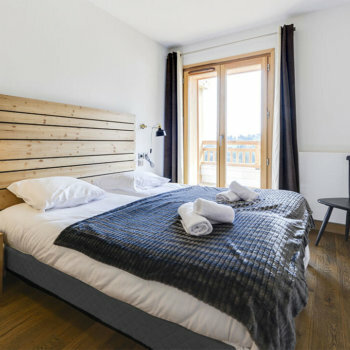 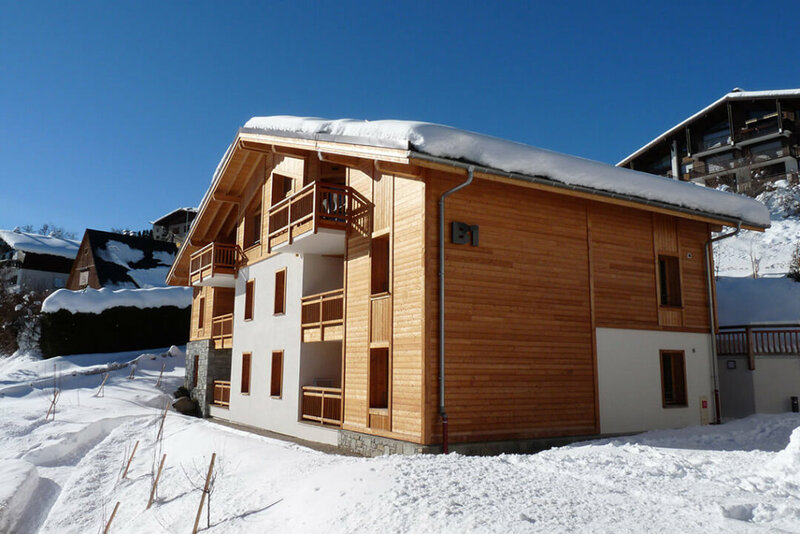 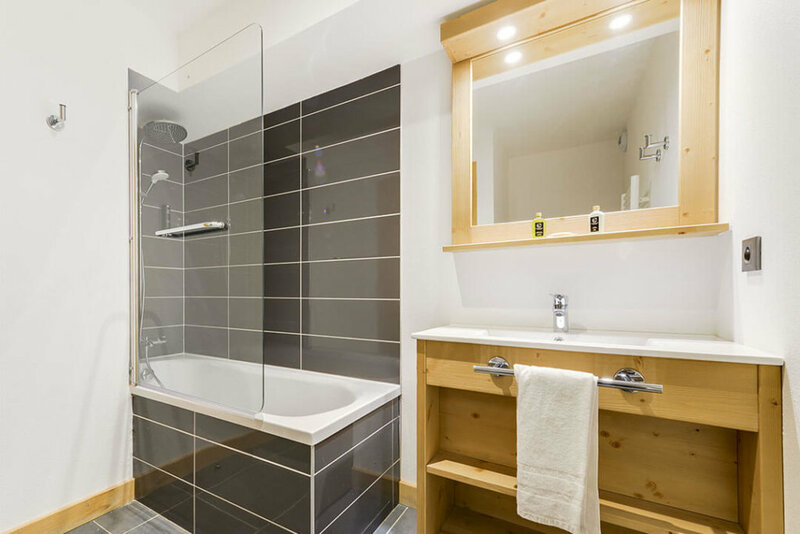 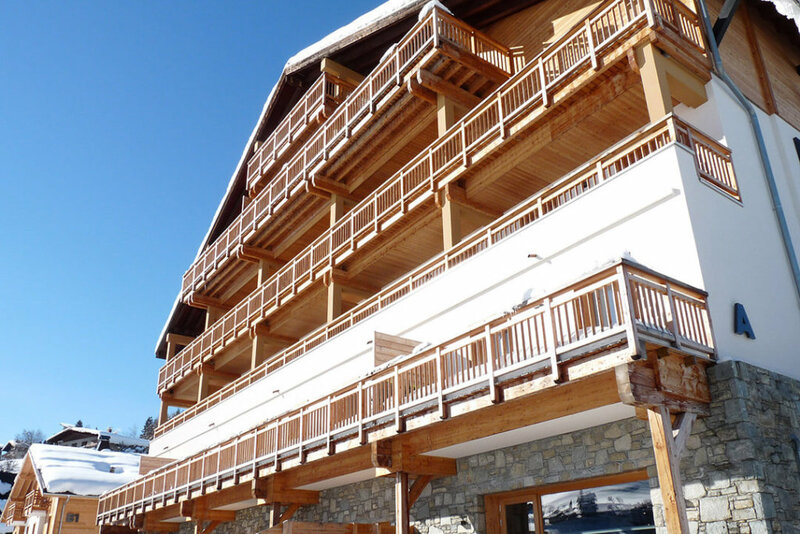 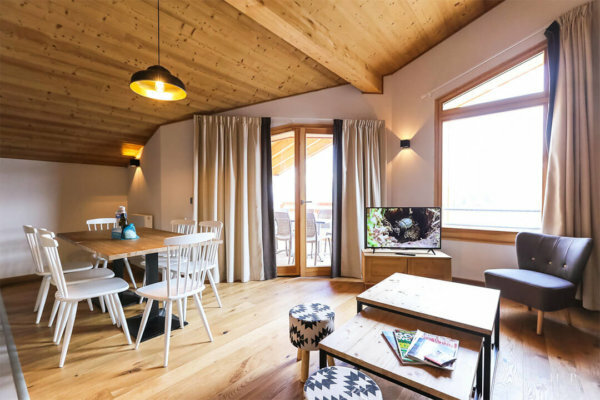 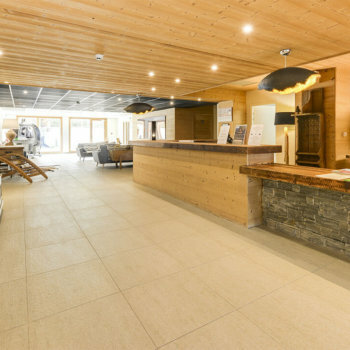 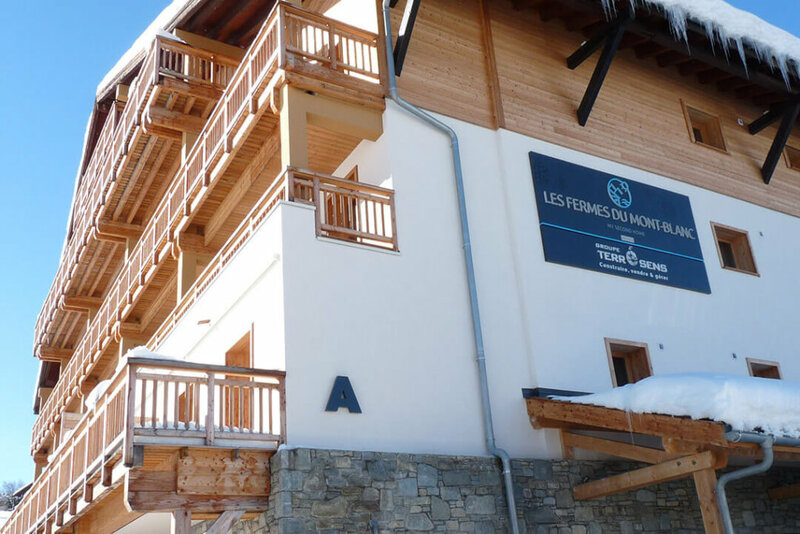 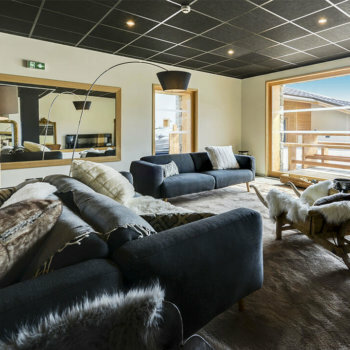 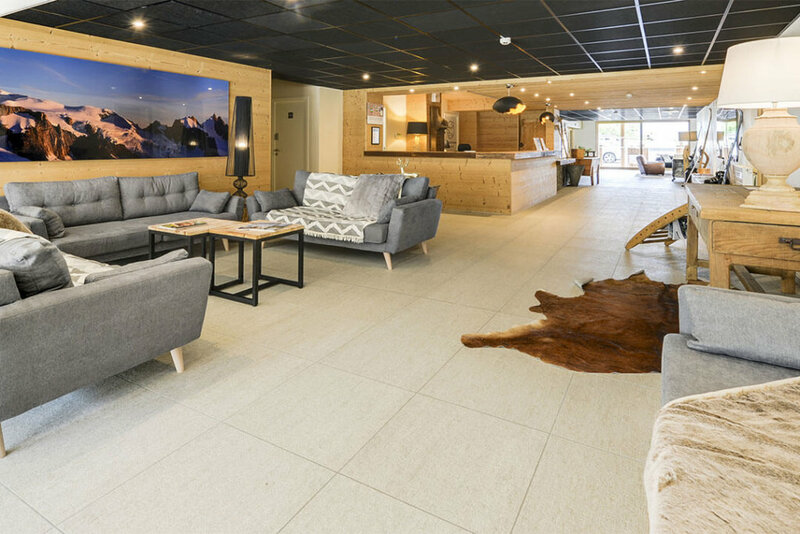 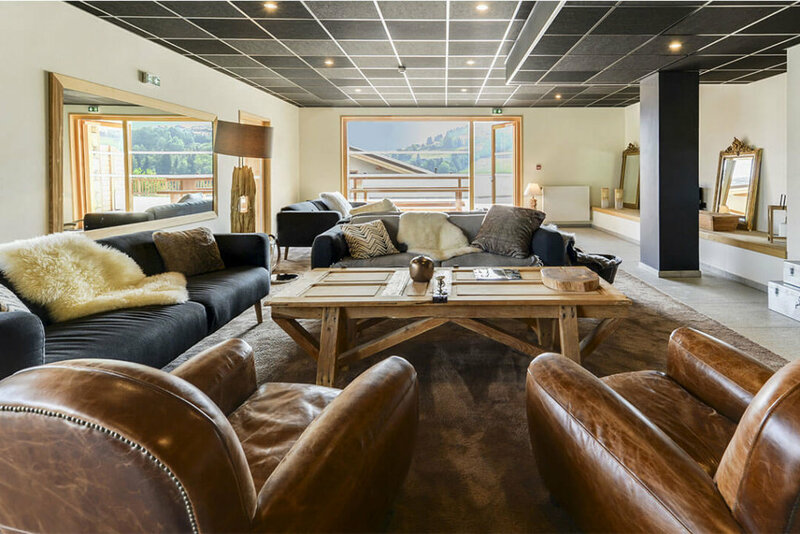 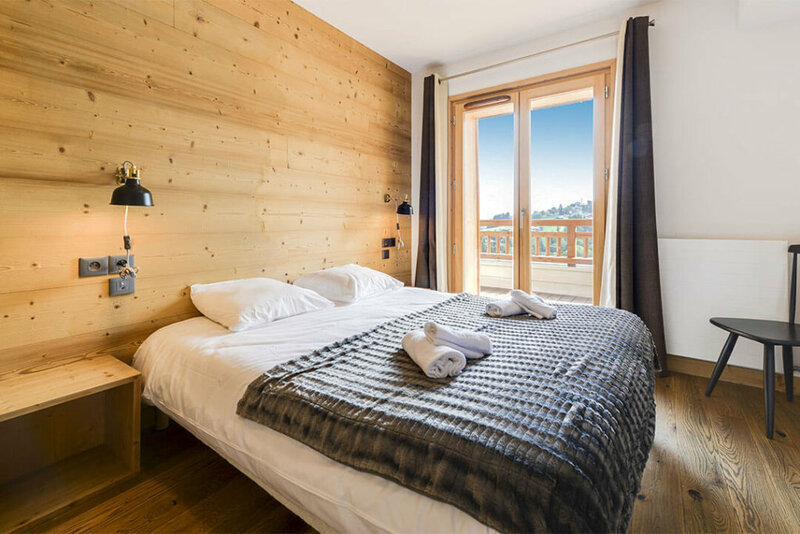 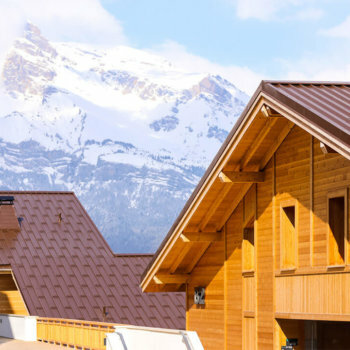 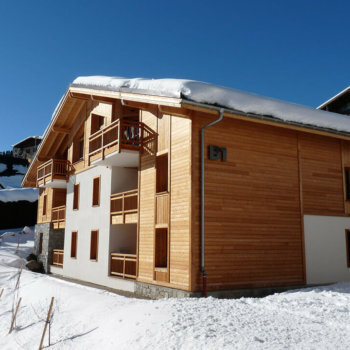 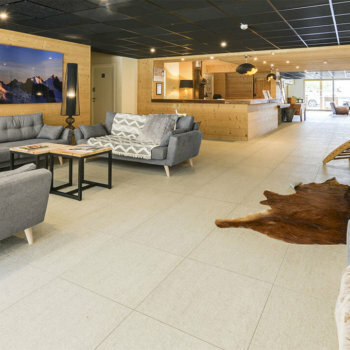 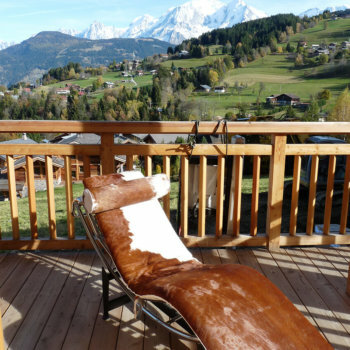 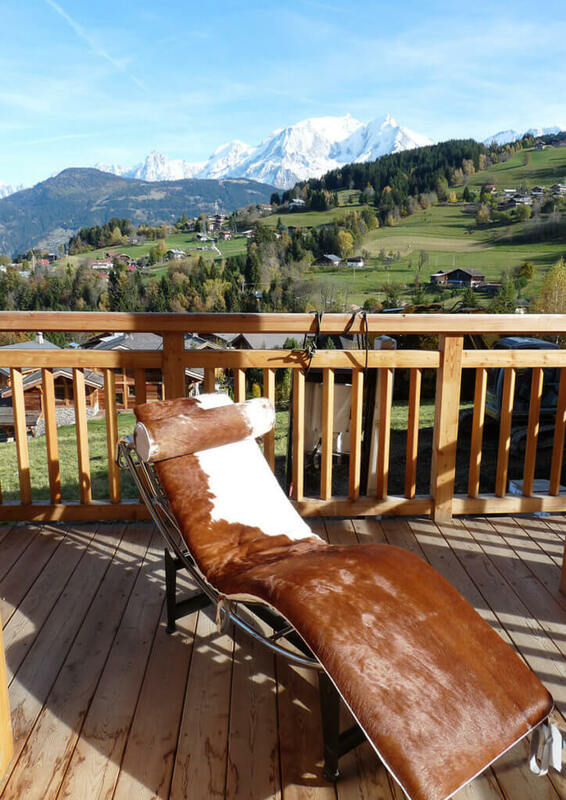 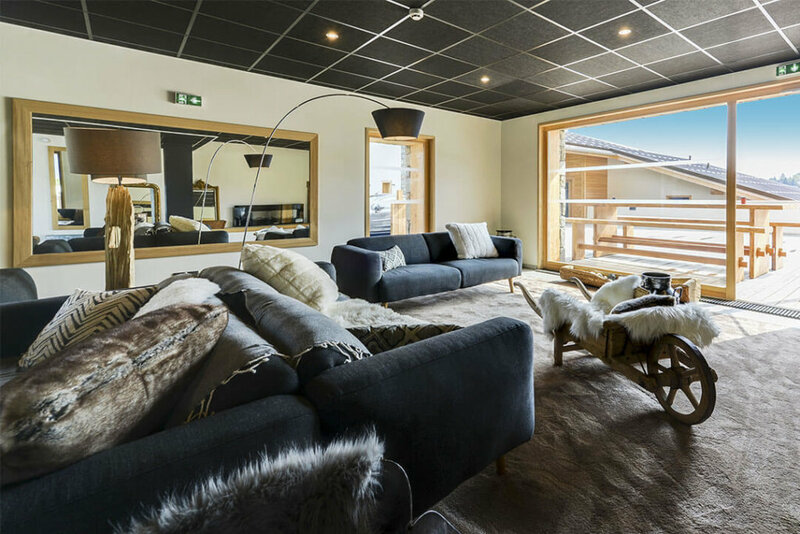 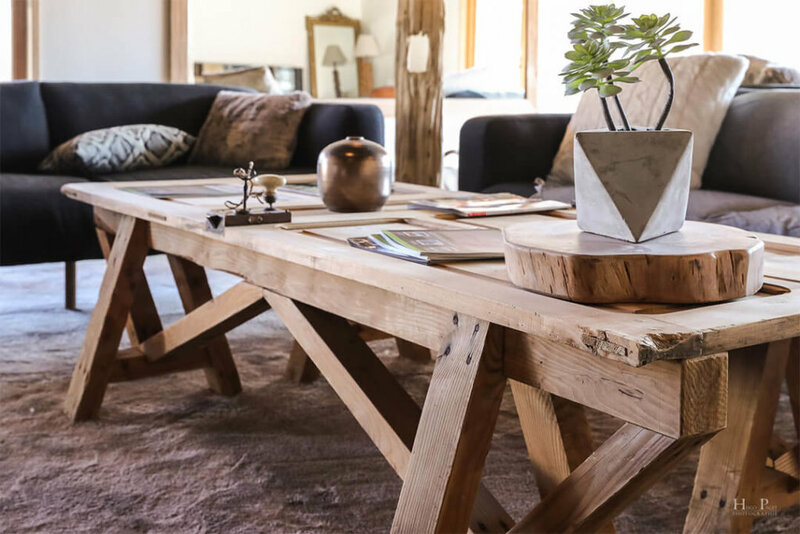 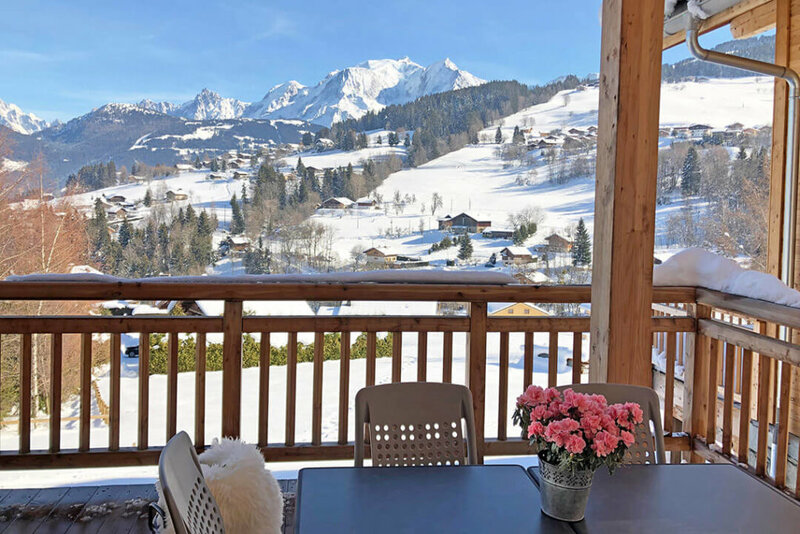 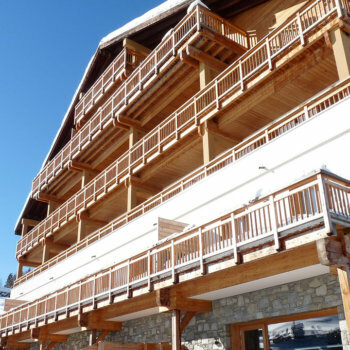 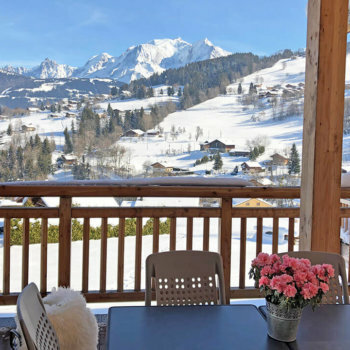 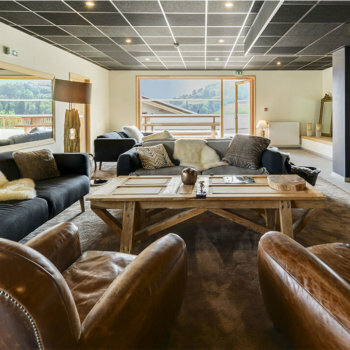 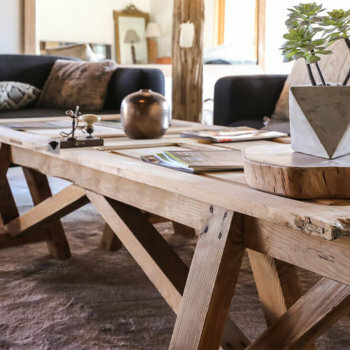 Located in the heart of the village, our residence Les Fermes du Mont-Blanc profits of an exceptional view of Mont Blanc. 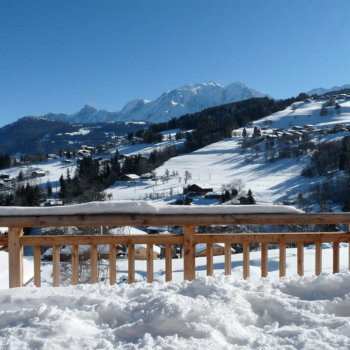 In a few minutes on foot, you will be in the heart of the village of Combloux: shops, restaurants and bars. 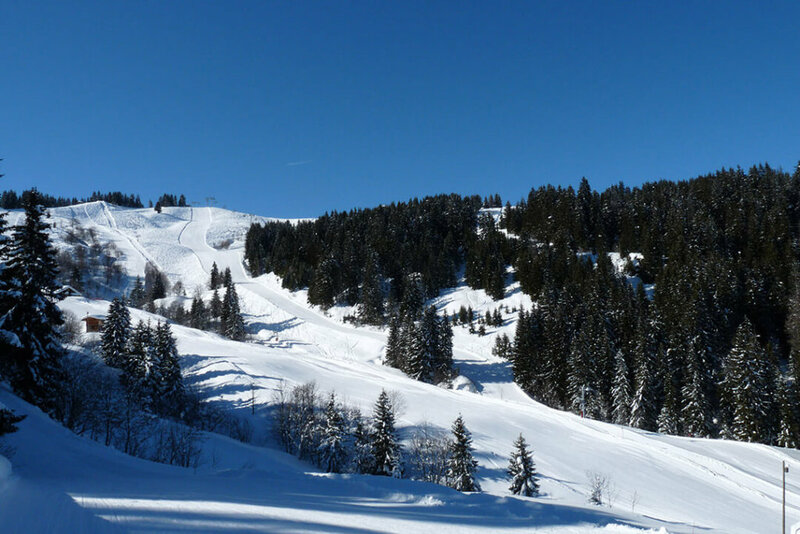 A shuttle is available to reach the ski lifts. 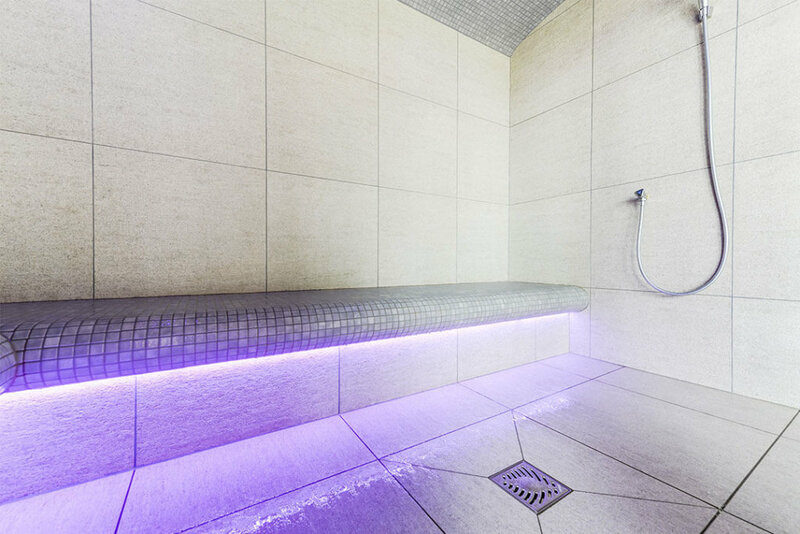 The residence proposes luxuriously appointed. 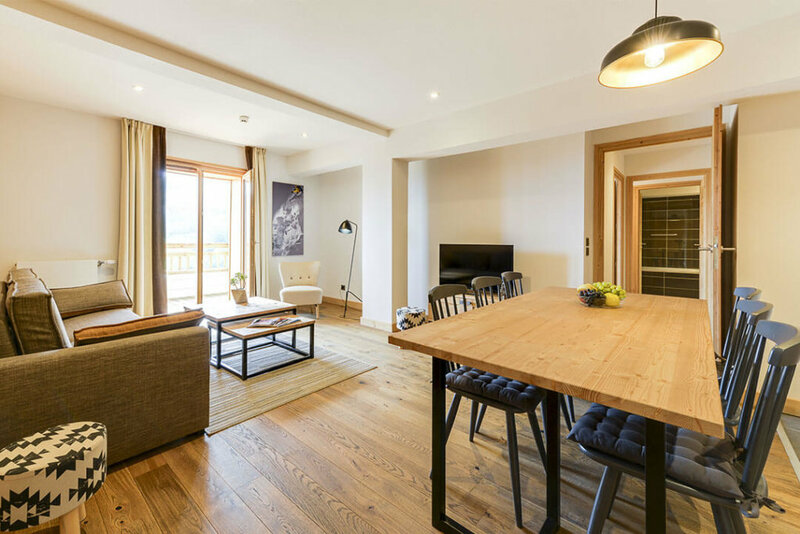 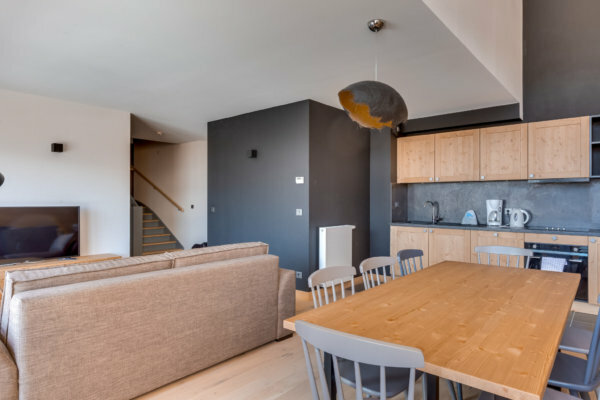 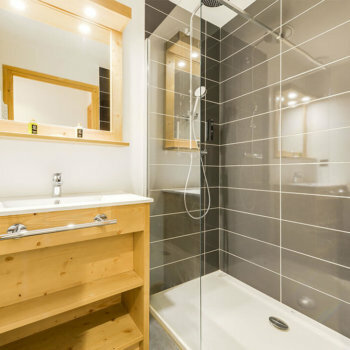 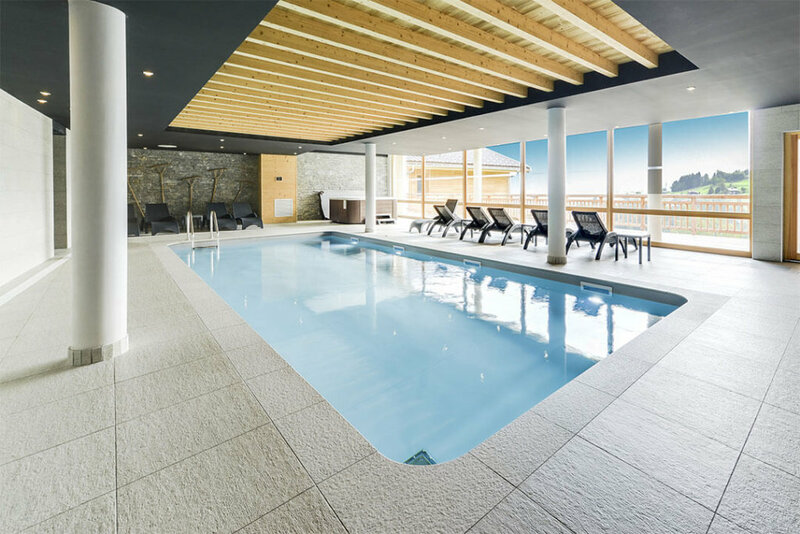 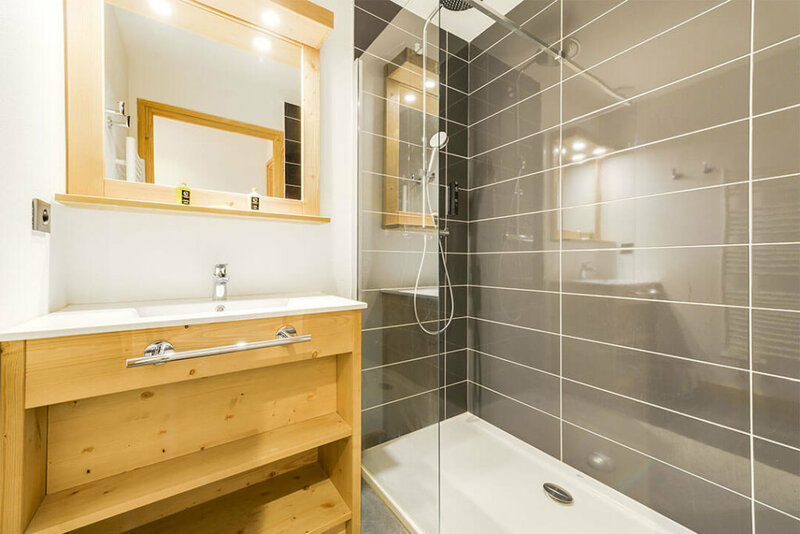 Composed of 48 flats (from studio to 4 bedrooms), this prestigious residence Les Fermes du Mont Blanc**** have an underground parking. 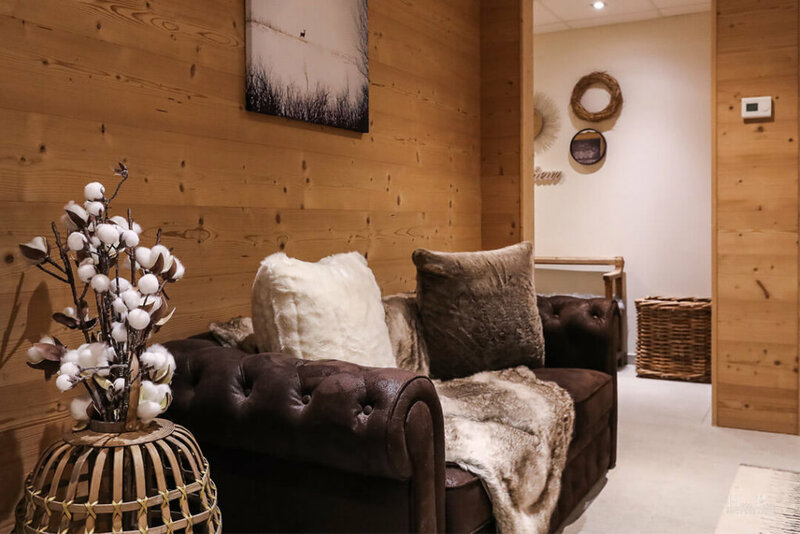 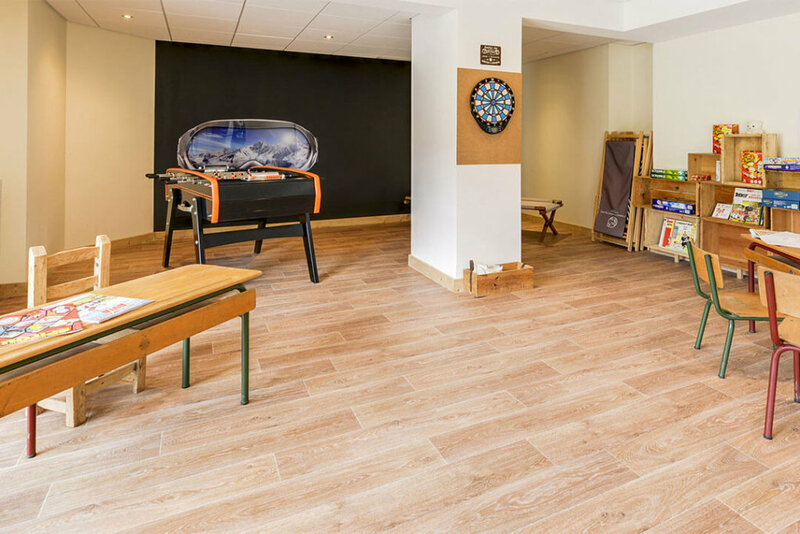 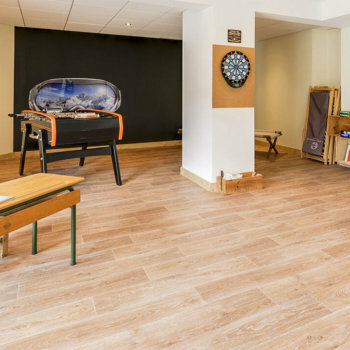 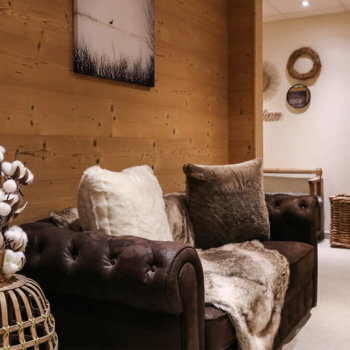 Common areas are available to residents: lounge, playroom, children’s area. 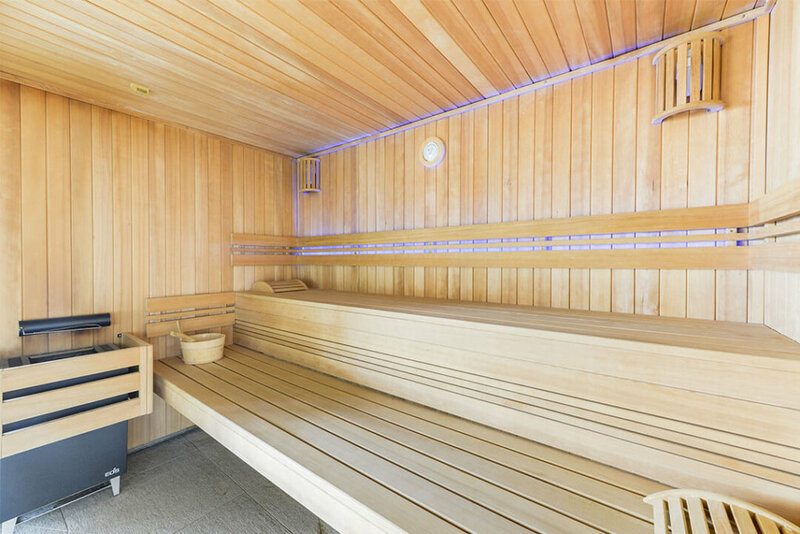 You also have access to the wellness area for relaxing moments: swimming pool, sauna, hammam and a treatment rooms with massage on demand. 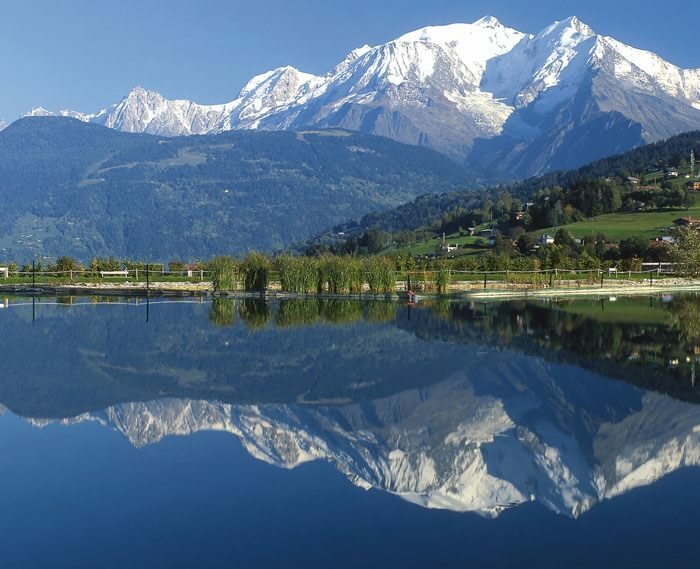 Everything is reflected to make of your carefree stay of the holidays, pleasant to share in family or enter friends. 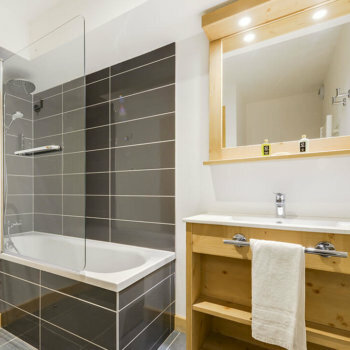 Some apartments can welcome disabled people. 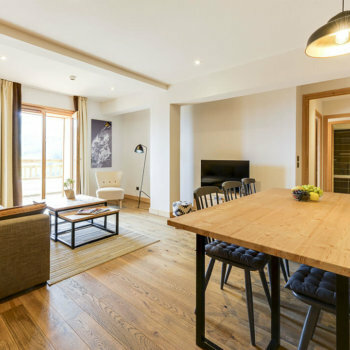 The residence offers (on demand) highchairs and cribs. 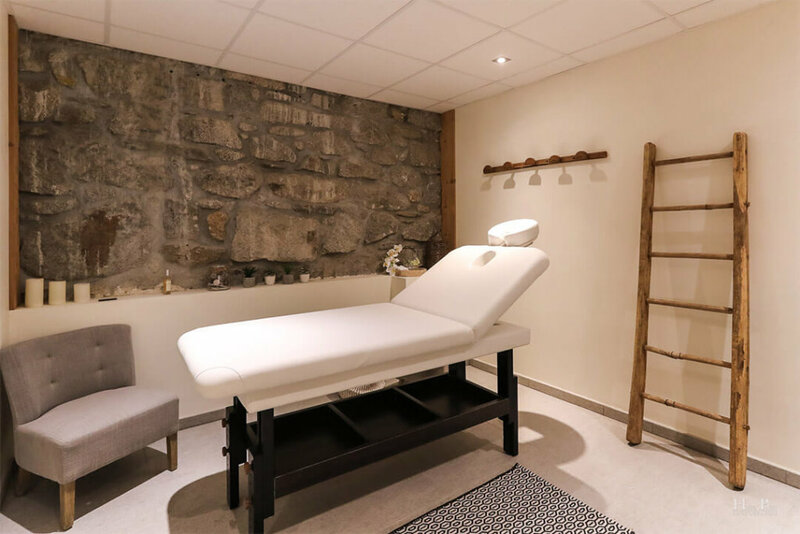 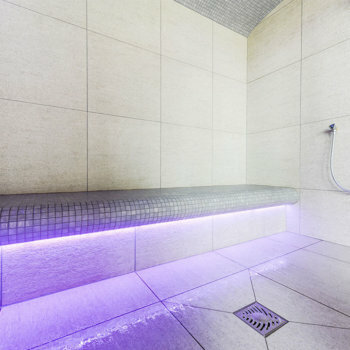 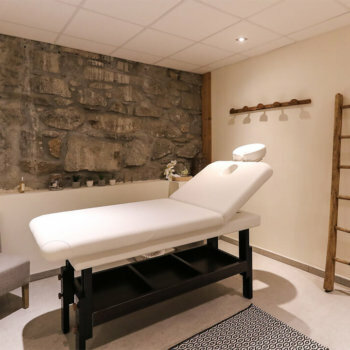 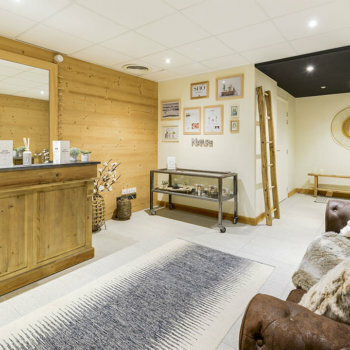 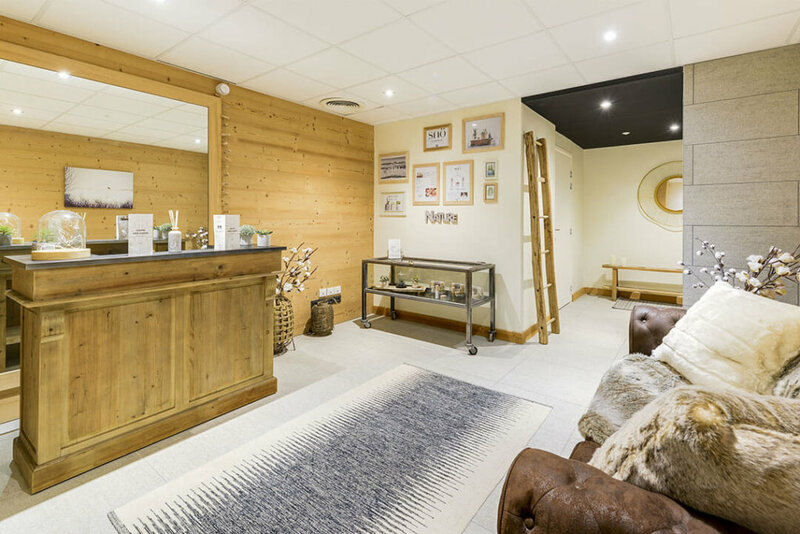 Offer in progress : 100% wellness package ! 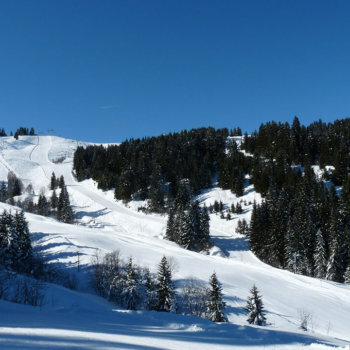 service for transfer to the station at Sallanches.